In a thick bottomed vessel heat the sugar or low to medium heat. 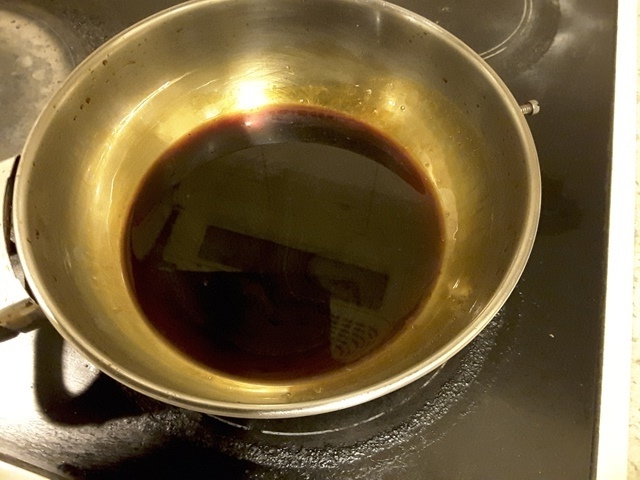 When the sugar has melted and starts bubbling remove from stove and add half of the water. The mixture will start smoking. Stir to dissolve the sugar clumps that form. Place back on the stove and on low heat keep stirring to dissolve any balance sugar clumps. Add rest of the water and heat for 5 minutes. Remove from stove and allow to cool. Use for cakes, pudding, custard etc.